In this section, we will focus on the final point: namely, how to slice, dice, and generally get and set subsets of pandas objects. The primary focus will be on Series and DataFrame as they have received more development attention in this area. Expect more work to be invested in higher-dimensional data structures (including Panel) in the future, especially in label-based advanced indexing. .loc is strict when you present slicers that are not compatible (or convertible) with the index type. For example using integers in a DatetimeIndex. These will raise a TypeError. String likes in slicing can be convertible to the type of the index and lead to natural slicing. A random selection of rows or columns from a Series, DataFrame, or Panel with the sample() method. The method will sample rows by default, and accepts a specific number of rows/columns to return, or a fraction of rows. # When no arguments are passed, returns 1 row. 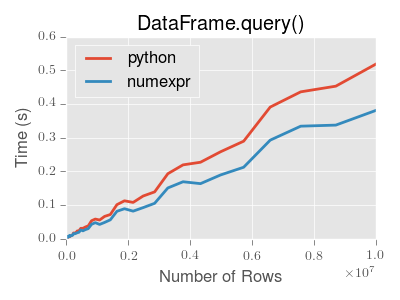 When applied to a DataFrame, you can use a column of the DataFrame as sampling weights (provided you are sampling rows and not columns) by simply passing the name of the column as a string. sample also allows users to sample columns instead of rows using the axis argument. Finally, one can also set a seed for sample‘s random number generator using the random_state argument, which will accept either an integer (as a seed) or a numpy RandomState object. # With a given seed, the sample will always draw the same rows. An alternative way to drop duplicates on the index is .groupby(level=0) combined with first() or last().